Didsbury Removals Manchester provide removals in Manchester for house removals, office removals, man and van removals, cheap clearances, student moves, piano deliveries, rubbish removals, cheap removals, moving services, office relocations, home clearances, house removals services and all Manchester removals. Call, email, text or fill in our online quote form about your removal needs. 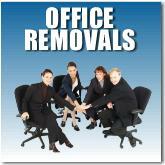 We will provide Manchester and all surrounding areas with the cheapest removal quote possible. on the day collection your team will call when they are 45 minutes away to confirm there arrival time. This year we have achieved 80% of customer satisfaction with using Didsbury removals. We try to put our customers and community first.